Join our email list and get your own 10% Off Discount Promo Code to apply to your first purchase. Plus you will receive emails telling you of specials and even more discounts throughout the year! Click Here to Join. *Free ground shipping on orders of $250 or more to contiguous U.S. Some larger items may incur handling fees. 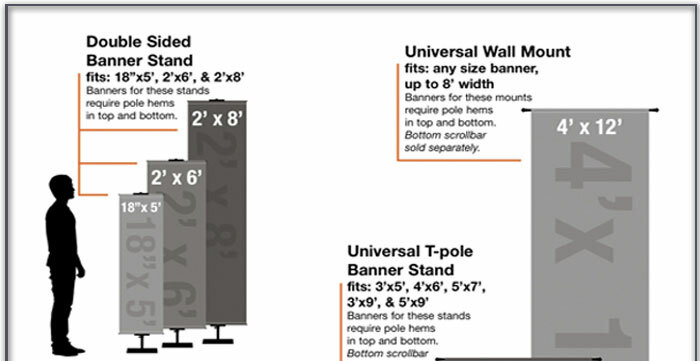 Banner Pole Hems: Allow you to hang your banner on a stand or wall mount system using rods to support the top of the banner. Most of our banners come with a pole hem in the top and bottom. Use a bottom rod in your banner for a smoother appearance. Our banners have a horse-shoe cutout in the back to allow you to attach the rod to the vertical pole. Banner Grommets: Grommets are a good choice if you are going to use an X-Banner stand or attach your banner to supports using rope or sturdy string. Banners made with grommets are non-returnable as they are considered custom items - so be sure this is what you want when you choose this option. Available in two sizes and adjustable to fit a variety of banner sizes. 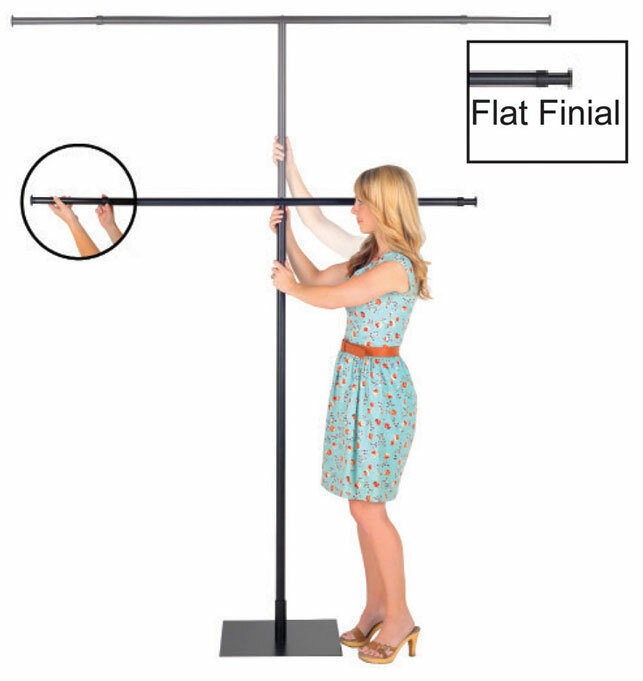 These stands are sold in sets so that you have a banner stand and pole - everything you need to make a beautiful display. The floor stand is flat allowing you to decorate the bottom with flowers or potted plants. Fits banner sizes 18" x 5', 2' x 6' and 3' x 5'. When you need a lightweight, portable solution, try our X-Banner Stands for Easy Set Up and removal. Even includes a store-n-tote bag. These work great when you don't have room for a stand or just want to adorn your walls! Choose from a variety of banner hanging options. Retractable stands are a great option when you need to store and transport your banners. The banner stores right in the stand!